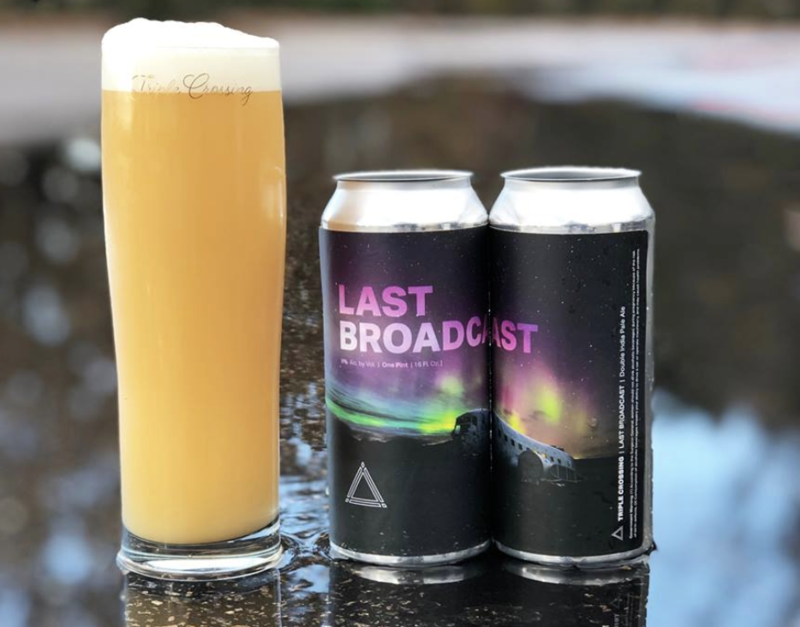 Last week, we rolled through the festivities with some awesome Black Friday events and tons of beers from our favorite spots around town (The Veil alone had more than ten featured at their Dark Daze event). We’re getting a break from the holidays for a bit this time around, and have a lot more great brews on the way. 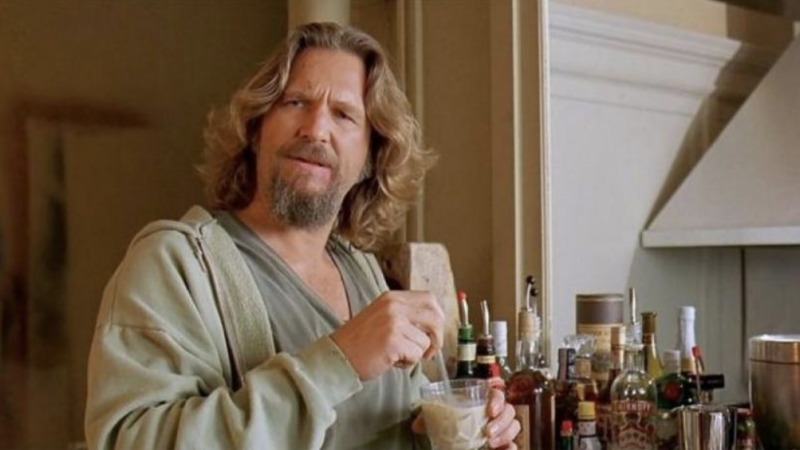 I’m a big fan of the weird relationship that Richmond has with The Big Lebowski: One that I neither understand nor care to understand, because I am going to think it’s great either way. From Center of the Universe’s El Duderino (still a favorite) to the entire neighborhood of Carytown throwing a bathrobe bar crawl in The Dude’s honor, to The Byrd Theatre hosting “The Big LeBYRDski,” we for some reason as a city cannot get enough of this guy. I tell you, guys, it is so funny that this whole area has settled on the same bad 90’s humor to keep coming back to. I really am at home in this dumb city, I love you all. Anyway, we are back with even more Dude this month, with Black Heath Meadery’s 12 Weeks of Dudemas, “Because 12 days would be very un-Dude.” Nice. 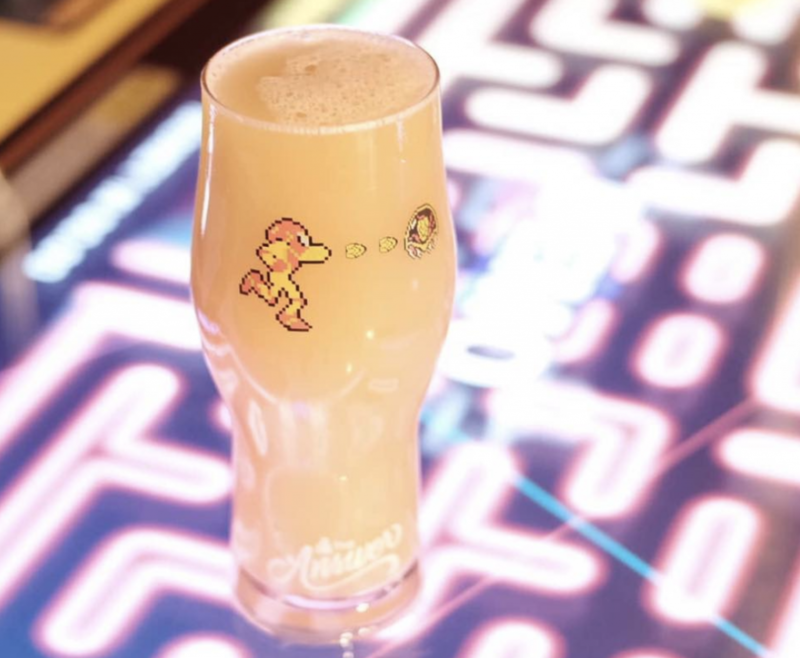 The meadery is releasing a signature Lebowski-themed mead every month now, and a limited-release Lebowski character glass every Tuesday for 12 weeks. *I need every single one of them. Black Heath, I’ll see you soon, and thanks for being you. 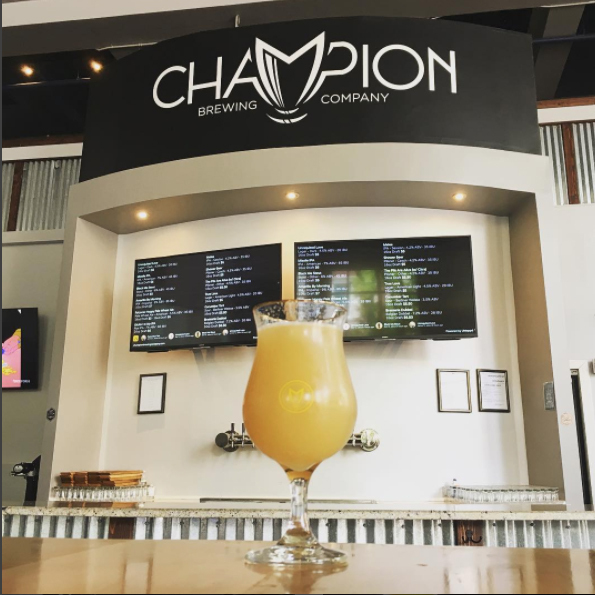 S/O to The Veil for being named Virginia’s Best Brewery by Thrillist this month. The Veil is a local favorite for a million different reasons, but I’m stoked to see Richmond on the national map (again) for its beer scene and glad The Veil put us here once again. There’s a reason that every time I visit, there’s a line out the door — and it’s worth the wait. It’s made with Maris Otter, Carafa II, Carafa III, Double Roasted Crystal, C-90, Flaked Oats, and Barley. On top of those are some Belgian Dark Candi Syrup, Cinnamon, and Habanero peppers (woof!) to really heat things up. It’s meant to warm you while you drink, but don’t go too fast out there in the cold, because the 11.4% ABV will hit quick. If you’re looking to get even spicier this weekend, COTU is also hosting Brewery Burlesque! This match made in “eccentric heaven” is curated by Ellie Quinn, the self-proclaimed Duchess of Dork who set out this year to tickle and tease Richmond’s funny bones. Tickets can be purchased here, and the breweries non-private space will still be open for drinking to regular customers. 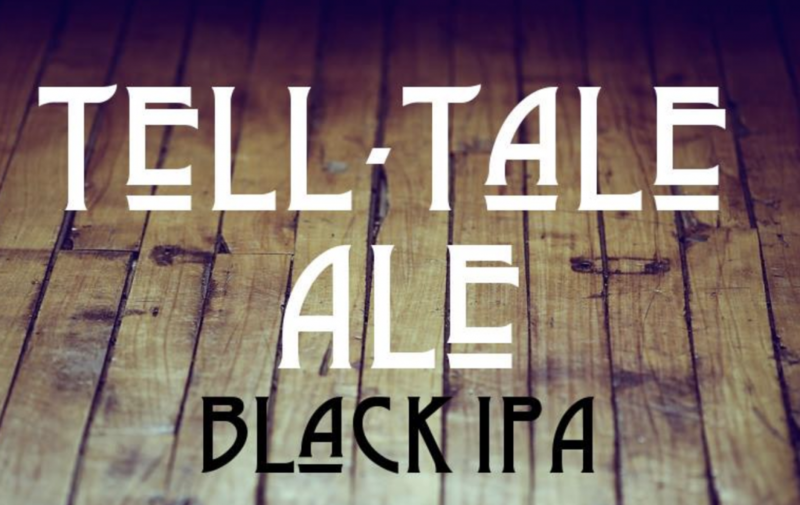 Over at Intermission Beer Company, Tell Tale Ale is coming out this Friday. This black IPA is dark and malty in its base, laced with toffee and caramel and balanced against a bright-hop profile to show its floral-citrus notes. 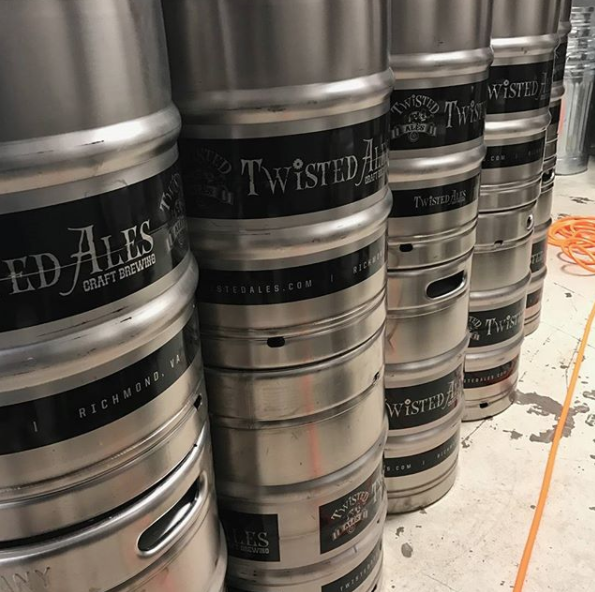 It’s perfectly “Richmond” with its Edgar Allan Poe references, and the brewery is even handing out copies of the “Tell-Tale Heart” at its release this weekend. Happy new location to Strangeways! 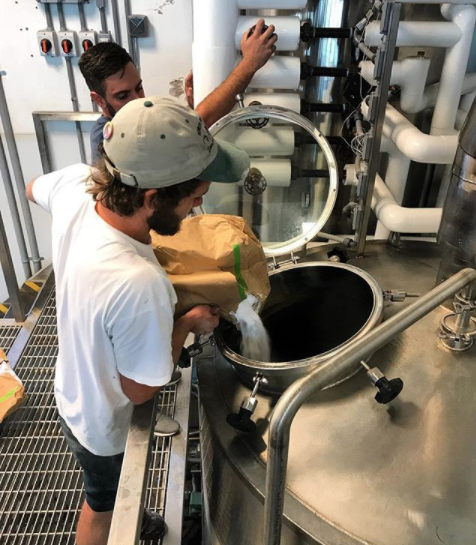 The local spot is opening up Scott’s Addition’s ninth brewery, bringing more booze to the city’s booziest neighborhood. Beer crawls are about to get even better with this addition to the area. 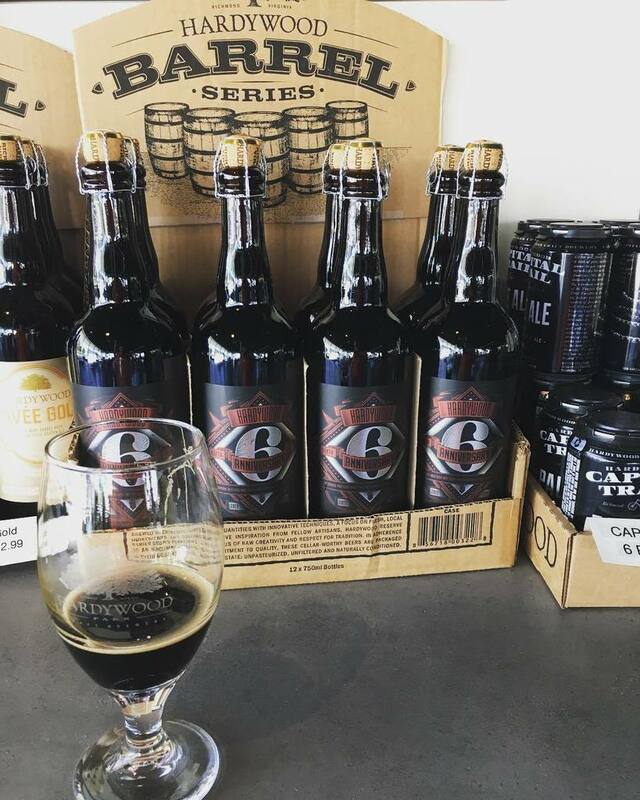 In new recipes this week, Strangeways is releasing a few variations: This Saturday, they’re ringing in the final month of the year with Ampelos, a Wild Grapevine Saison, Sing With Animals Vanilla Milk Stout, and Escape Goat Weizenbock. 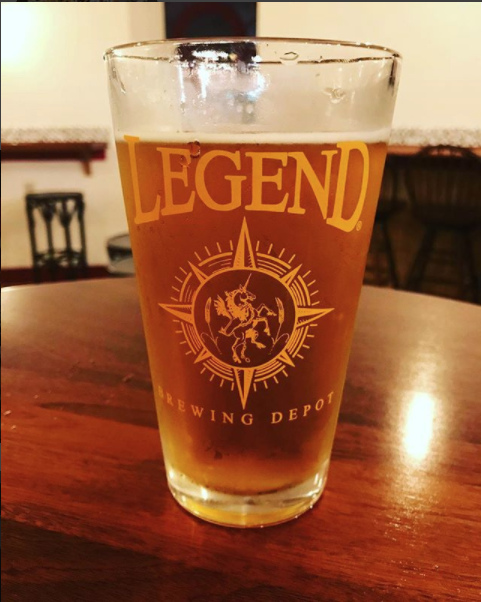 The original Weizenbock beer, according to the brewers, was actually the inspiration for their owner to start up the company. His variation includes local Virginia malts in addition to German Saphir, Perle, and Saaz hops. Ampelos has a white wine-like character in its taste and smell, and the wild grapevines it comes from bring a subtle fruit-twang to pair with its mild spiciness (so if you’re looking for that hard-hitting spice, check out COTU this week as well!) Their Sing With Animals stout sounds tasty, too, with a silky texture and strong vanilla flavors. Yay, fun stuff at my fave! 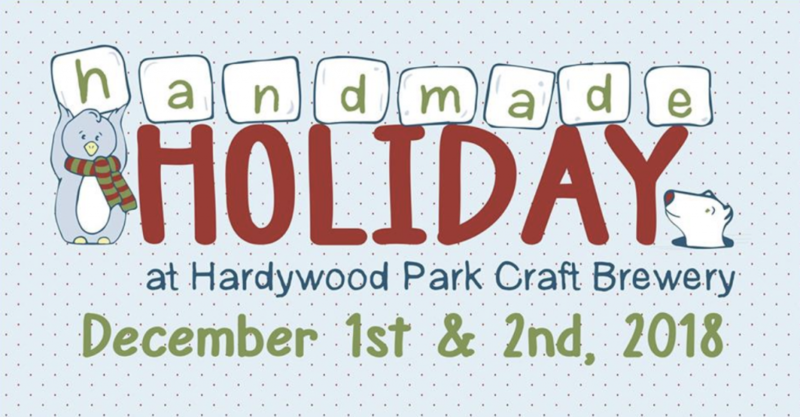 Hardywood is hosting the Richmond Craft Mafia’s 14th Annual Handmade Holiday Craft Show this weekend, and it’s full of all the best vendors (covered in heated tents, so hold the excuses). Personally, I’m a huge fan of handmade products, and Good-Old-RVA is absolutely full of talented creators. I can’t wait to see what they come up with. More than 50 “makers” will be there, half each day, so make sure to check out both days to not miss out. Paired with Hardywood’s beer, no wonder they call it Richmond’s favorite shopping event. On Friday, Hardywood’s releasing their Just Right Oatmeal IPA cans and prefacing the weekend event with a truly just-right brew: Balanced with notes of orange and grapefruit over a rolled, malted oat foundation for that juicy-smooth flavor with a dry finish. Yum! 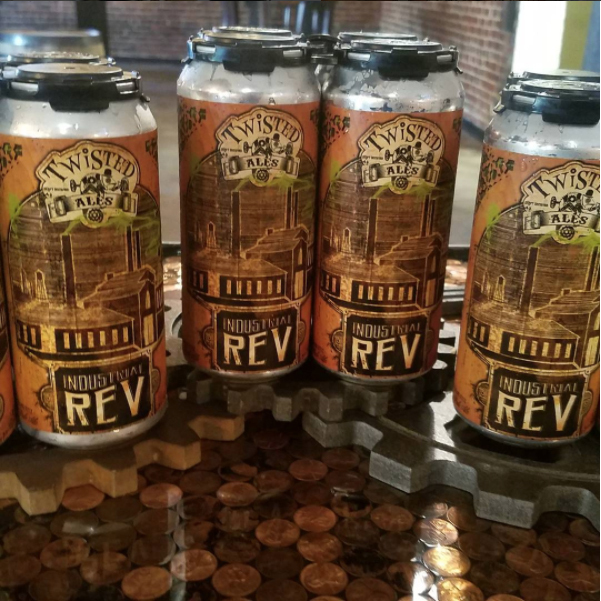 The Answer Brewpub has done it again, as they always do! Mind Games came out yesterday at the brewery, made with Mosaic, Galaxy, and El Dorado hops. 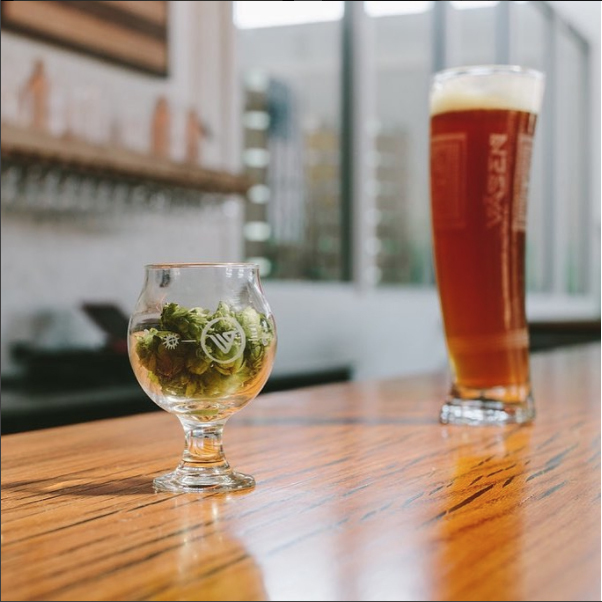 The DIPA is made with a cooler whirlpool-hop addition compared to their usual beers, and they’re stoked on the results. It’s in Crowlers and on tap at the pub now, and it looks like the perfect texture and color for a warm(ish) November day. Get ‘em while you can, before the weather freezes us all back to our houses and makes us want to curl up with more holiday brews. It’s that perfect time again when the city starts glowing with holiday lights all around, and man, is Richmond beautiful when it’s all lit up (contrary to the summertime, when it’s just regular lit). 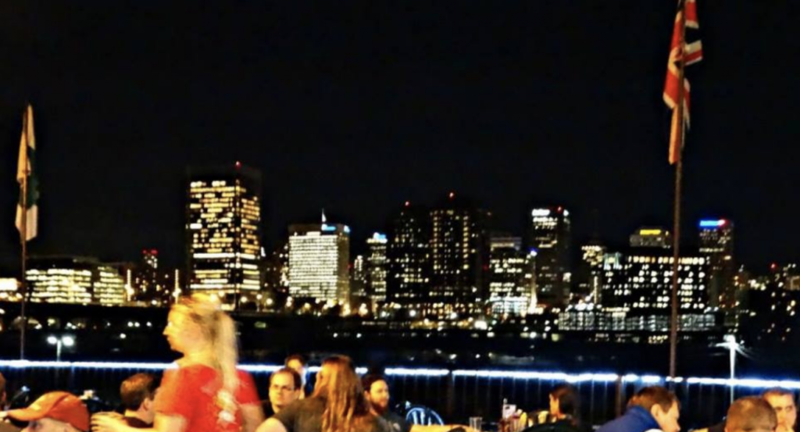 Head across the bridge this Friday to watch the annual lighting-of-the-city at Legend Brewing Co. and see the Grand Illumination from the best view in town. They’re going to get busy as one of RVA’s favorite spots in the night’s best location, so get your reservations early for this one. Butte County Proud. 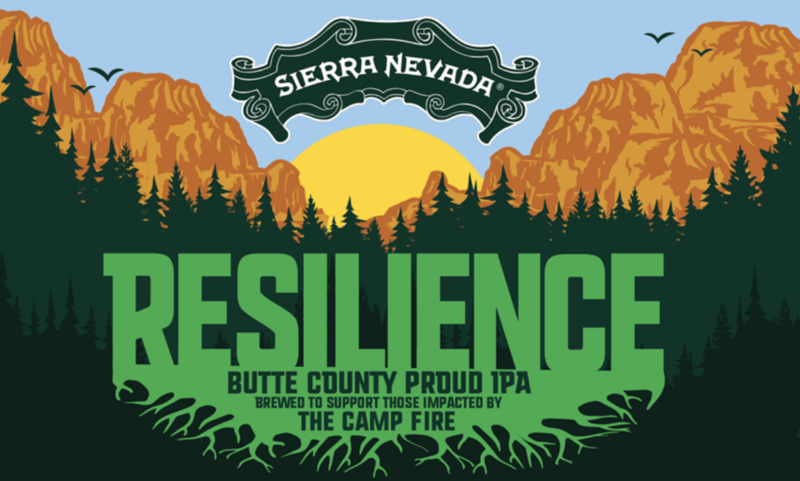 Ardent is donating 100% of their Resilience IPA to the Sierra Nevada Camp Fire Relief Fund, so make sure to drop by and give it a shot to help out and enjoy a great brew at the same time. They’ve also got their Hazy IPA cans available in the taproom right now, so if you need a good reason to check out Ardent this week, they’re giving you plenty!